Photoworkout is reader-supported. When you buy through links on our site, we may earn an affiliate commission. As you grow in your photography career, you may be looking to level up your gear from the traditional point and shoot systems. With the vast array of professional and more complex camera options, many growing photographers are weighing the options between choosing a DSLR or Mirrorless option for their images. In order to give you a better look at each type of camera, we have created a breakdown of which type of visual tool is best for beginning photographers. A DSLR is a digital single-reflex camera. A DSLR camera is a tool that is made up of two specific parts – the camera body and the accompanying lenses in which you will choose based on your photography style and niche. A DSLR camera combines a single – lens reflex with a digital imaging sensor. This digital sensor is what is used to record your images. The main difference you will see when upgrading to a DSLR camera format is the option for interchangeable lenses. This means that the lenses are able to be changed and swapped on your camera as you wish. Your camera body stays the same and you will add a lens based on your photographic conditions. The DSLR camera is a combination of an internal mirror and optical viewfinder. Light hits the mirror, which then reflects into the optical viewfinder. When you look into your viewfinder, you can see what you are shooting through your lens. DSLR cameras come in either cropped, APS-C, or full sensor options. The sensor size is an important factor in DSLR cameras as they determine the camera’s capabilities in varying lighting situations. A larger sensor will allow more light in and therefore will perform exceptionally in low-light conditions. A mirrorless camera is indicative of its name – it is a camera without a reflex mirror. As we previously discussed, the reflex mirror in a DSLR camera is what allows the light to be reflected onto the optical viewfinder. In the case of mirrorless cameras, there is no optical viewfinder. This means that the imaging sensor is what catches continuous light. When you go to view your image, you will look at the rear screen of your camera body or through an electronic viewfinder. A mirrorless camera is still a tool that uses interchangeable lenses, which makes them comparable to that of a DSLR. The main difference that we see between mirrorless and DSLR cameras is the difference in size and weight. Because a mirrorless camera is void of the reflexive mirror – the camera is substantially smaller, lighter and in some ways less cumbersome than a DSLR. The mirrorless concept has been used in many film cameras and even point and shoot digital cameras. Yet, what truly makes it more professional is the ability to switch lenses – a capability that cannot be done in a set focal length of a point and shoot. Digital mirrorless cameras are currently being produced by brands such as Sony, Canon, Nikon, Fuji, and Olympus. If you are currently using a DSLR system by one of these brands, each company sells lens mounts which allow you to use your existing lenses on the mirrorless bodies. Since we know that the larger the sensor, the better the quality of your images – it is important to note that mirrorless sensors are just as and sometimes even bigger than those found in DSLR cameras. You will have the traditional cropped option, full frame sensors and to follow suit of film photography – medium format digital sensors have been introduced, which are larger than a full frame. The Canon EOS Rebel T7i can be purchased with either an 18-135 or 18-55 mm lens kit. The sensor is a cropped APS-C and functions include built-in Wi-Fi and Bluetooth capabilities. The frame rate of continuous shooting is at 60 frames per second. The camera has 24.2 megapixels. The Nikon D3400 can be purchased with an 18-55 mm lens or the 70-300mm option. The camera has Bluetooth technology and 24.2 megapixels with a cropped sensor. The camera is lightweight at less than a pound and can be purchased for under $400. The Pentax K-70 is a weather sealed DSLR with an 18-135mm lens. The camera has 24.2 megapixels and has a built-in shake reduction mechanism. There is an LCD monitor with night vision, built in wifi and 1080 video resolution. The Canon EOS Rebel SL2 can be purchased with the 18-55 mm or 75-300 mm lens. The camera has 24.2 megapixels and a cropped sensor. Capabilities include an angled touchscreen, Wi-Fi and Bluetooth. This camera can be purchased for under $500. The Nikon D5600 can be purchased with either the 18-140, 18-55 or 70-300mm lens. The camera has full 1080 video recording along with Bluetooth and Wi-Fi functions. With 24.2 megapixels and shooting at 5 frames per second, the D5600 can be purchased for around $600. To follow suit of our DSLR beginner options, here are the best mirrorless cameras for beginners. The Fujifilm X-A5 can be purchased with a 50-230 mm lens. The camera has 3 times optical zoom function and a cropped sensor. The Sony A5100 comes with a 16-500 mm lens and 3-inch flip up LCF screen. The camera has a fast focus, Wi-Fi function, and full HD video recording. The camera can be purchased for under $400. The Panasonic Lumix GX85 comes with a 12-32 mm lens. It has 4K imaging performance and video. The camera has 2 times optical zoom and can be purchased for under $600. The Sony Alpha a6000 has 24.3 megapixels and a 3 in LCD screen. The camera comes with a 16-50mm power zoom lens. It can be purchased for under $450. 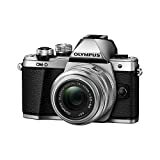 The Olympus OM-D E-M10 Mark II comes with a 14-42 mm lens. The camera has a continuous shooting rate at 8.5 frames per second, a 5-Axis image stabilization and a silent mode that disables all shutter sound. You can purchase the camera for under $500. Mirrorless vs DSLR: Which Camera is Better for Beginners? From our compare and contrast above, it is clear that there are only a few differences between a DSLR and Mirrorless camera. the argument of which one to choose for your photography truly only comes down to your personal intention. Considering the size of a DSLR, it is unlikely to be a camera that would suit a more casual type of photographer. It is usually not the ideal choice when traveling due to its weight and often DSLR cameras come with a variety of functions that are better suited for a more advanced photographer. In combination with the longer battery life and certain features such as back button focusing and multiple memory card slots, I would recommend DSLR cameras for the professional, working photographer. 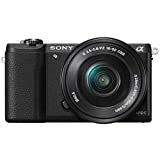 The mirrorless camera options are lightweight, easy to handle and have a high standard of quality in both imaging and video formats. Just due to its size and ease of use, I would recommend a mirrorless option for beginning photographers looking to move up from their point and shoot system. One note is that mirrorless cameras tend to have a sub-par battery life, so this is far more suitable for a photographer who is shooting in a casual setting or still building their portfolio. If you are a beginner photographer using a mirrorless camera and will eventually progress into more professional, paid work – be conscious of this setback in battery life and consider purchasing a backup to have during shoots. In conclusion, both DSLR and mirrorless cameras are great options for a photographer looking to break into a higher standard of imagery. The sensor capabilities of this camera allow for light to easily enter and therefore will create photographs that are of impeccable color and detail. Always consider your intentions and personal preferences when purchasing a camera. 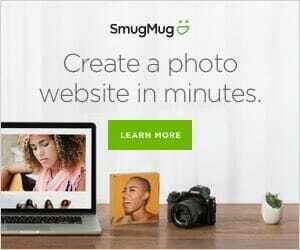 The best photographic tool for you will align with your set budget, photography niche, and the type of images you are aiming to create. which camera system: DSLR or Mirrorless, is best for a beginning photographer? which type of camera do you prefer to capture your images? Feel free to share with us your insight in our comments below.